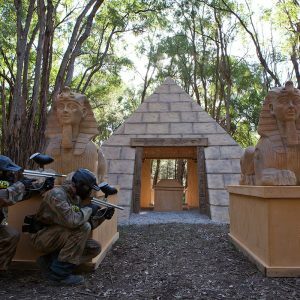 Delta Force Paintball in Australia and New Zealand have teamed up with Universal Sony to offer our Facebook fans an exciting opportunity to win big with the blockbuster release of The Sweeney. 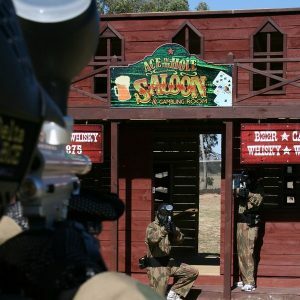 The association between Delta Force Paintball and The Sweeney is a match made in heaven – Delta Force offers fast paced, high octane days of action and adventure, The Sweeney is an all-out action film packed to the brim with plenty of thrills and spills. 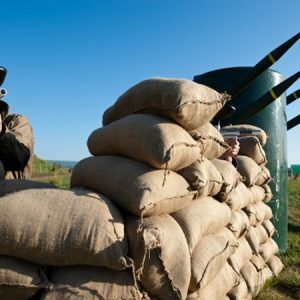 Delta Force Paintball’s movie quality game zones are well known throughout the movie and entertainment industries, providing unparalleled realism for our players and another reason we’re the number one choice for this endeavour by Universal Sony. The prize on offer is the newly released DVD and Blu-ray versions of The Sweeney, a hard hitting, action packed movie starring Ray Winstone, Ben Drew and Hayley Atwell, about a bare knuckle, old school cop who, with his loyal partner, buck the system to bring down the bad guys in explosive style. Competition details will be released soon – keep an eye on the Delta Force Australasian Facebook pages for entry details! To enter The Sweeney competition entrants must ‘Like’ one of the Delta Force Paintball Australasian Facebook pages. All competition entrants must be 15 years or older. To enter the competition entrants must ‘Share’ the competition link on their Facebook wall. All competition entries must be submitted before 11:59pm on Sunday 4th August 2013. Late entries will not be accepted. Delta Force Paintball, and their own discretion, will select 15 competition entrants at random to win a DVD of The Sweeney. Delta Force Paintball, and their own discretion, will select 4 competition entrants at random to win a Blu-ray of The Sweeney. The selected winners will be publicly announced on the respective Delta Force Paintball Facebook pages. To receive their prize the winners will be required to send a private Facebook message to Delta Force Paintball via the respective Facebook page with their full name, contact number, email address and postal address. Failure to provide these details will mean Delta Force paintball is unable to send out the prize. Employees, contractors, friends and family of Delta Force Paintball are not allowed to enter this competition.